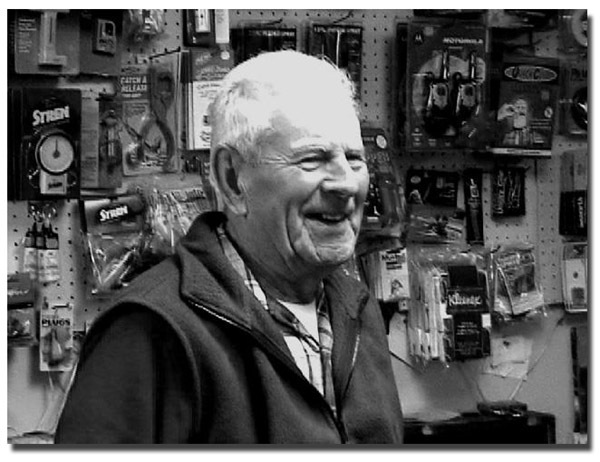 I met Bill Martel for the first time when I was a wide-eyed young boy, gazing enviously at all the fishing tackle and lures, and buying bait when Bill was working in his father's New Hampshire bait shop back in the mid 1940's just after WWII. The old ramschackled buildings always looked like they were about to float away down the Winnipesaukee River into Lake Winnisquam. 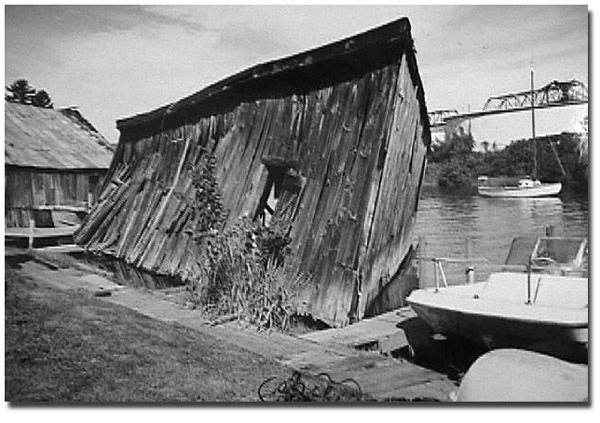 But as a boy, I remember, in particular, going into the shed to the right of the store where one could peer down into the clear depths under the dock and cribbing and watch huge bass, perch, and other fish cruising around. I remember thinking how great it would be to own or even work in such an establishment! 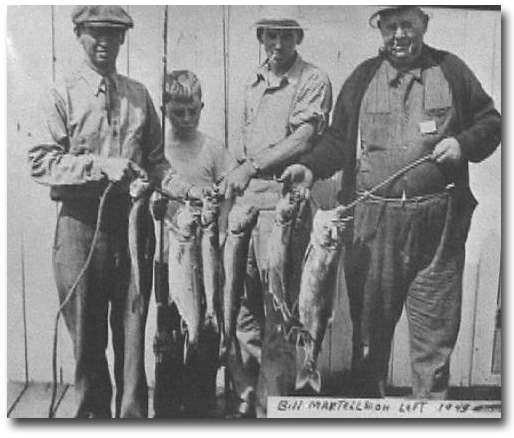 I had no inkling of how hard Bill and his father worked to catch all the bait, mind the store, and guide fishing parties at the same time. But to me, as a young boy, it was my idea of heaven! 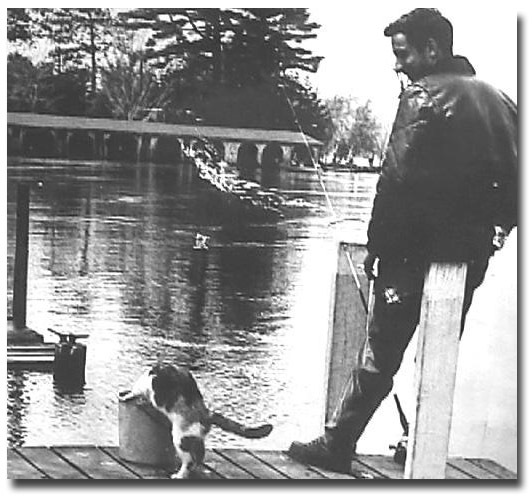 Master Angler William Martel, Jr.
“I was born in Laconia, New Hampshire, September 30, 1924. 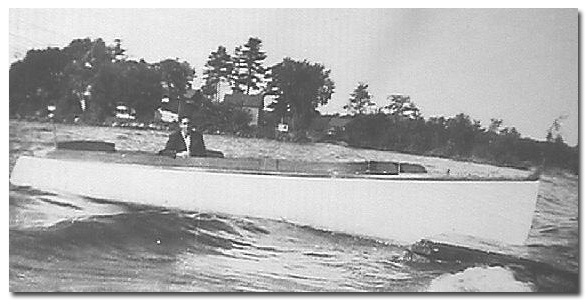 My father, William Martel Sr., prior to his marriage, and his mother, owned and operated a live bait, boat livery, and guide service on Lake Winnisquam from his home. “He married in 1923. I was born one year later. We had an 8'x40' long dock where I first started fishing when I was 6 years old with a cane pole. Also dad took me trolling for salmon (Chinooks in those days). I caught my first one at the age of 7. It weighed about 7 pounds, and I needed some help in landing it. It was taken on a Phantom minnow, which I had on his salmon rod. “At age 13, after graduating from grammar school, I had to help my father with the business to replace my grandmother, who had broken her hip and was bedridden. At age 17, upon receiving my master pilot's license for motor boats and my New Hampshire guide's license, I began taking out fishing parties along with my dad. 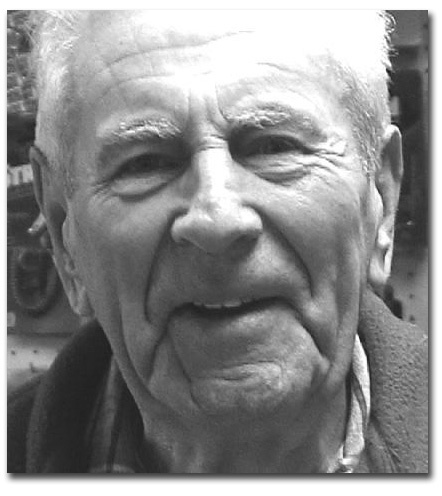 “At 18, WWII came and I was inducted into the Army where I served in the European Theater of Operations for 33 months. I will never forget coming back just in time for Christmas in 1945. “In 1946, I was back doing what I liked best, catching live bait and taking out fishing parties. My guide service ended in 1969 with the death of my father. I took over ownership then of his live bait and boat rental service, which became a seven-day, a week job for many years. I sold the business in 1985 but remained with the new owners. I work only part time now at age 80. 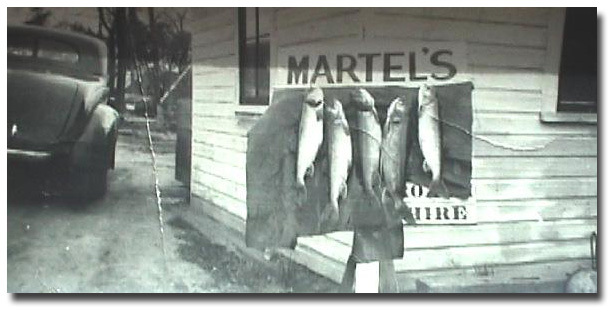 Martel's has been serving the fishing public for over 85 years. • Who taught you to fish? 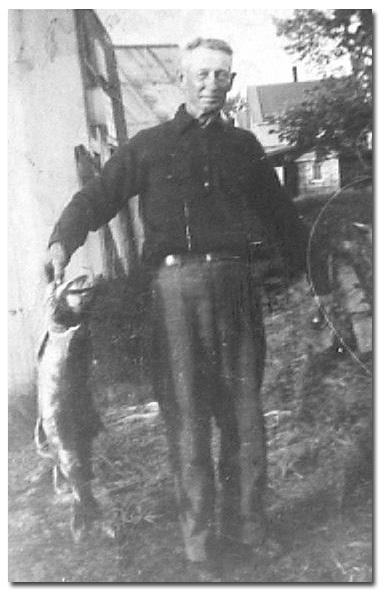 "In the days when Chinook salmon were in Lake Winnisquam. I had to have some help then in landing these big fish. • Lake Winnipesaukee Fishing Mentor? “My dad was Number 1 with me and a good teacher. • What did he teach you? “How to fish, hunter safety, fur trapping, but most of all, patience! • What is your favorite Lake Winni game fish? Why? Pound for pound, which is the best fighter? Why? “Smallmouth black bass because they never seem to give up. I have caught several which took 15 to 20 minutes to bring to the boat with light tackle. • Favorite Lake Winnipesaukee Fishing months? • Best time of the day for Lake Winnipesaukee fishing? 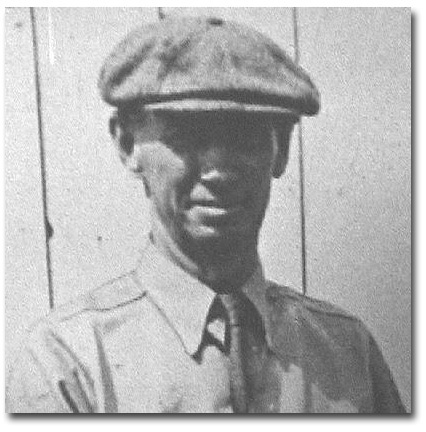 “One weekend I was night fishing through the ice in one of my father's smelt shanties, which had a 2'x4' hole cut in the ice and bottom of the shanty. I hooked into a monster Cusk, which I finally worked to the surface of the hole. By the light of my kerosene lamp, I could see the size of this monster and realized I needed help. I hollered to one of my fishing buddies to come with his gaff. He came running with it and a bright flash light. Upon shining the light in the hole, the fish became startled and headed for the bottom, breaking my line! “I have passed on my experience and skills to my grandchildren - 3 boys and a girl. I take them out warm water fishing in my 14' aluminum boat on Lake Winni whenever I can. Fish from ice-in through most of January using tip-ups with live smelt or shiners. Use 36-pound squid line on my tip ups with 9 feet of 8-pound test leader and a # 6 hook. Use non-lead # 5 or #7 split shot 18" up from the hook on the leader, fishing a few feet under the ice. This usually produces well. But remember you will also catch salmon just under the ice, which must be carefully and rapidly returned by cutting the leader near the hook. Jig a short rod or bob stick. I use 8 lb monofiliment line on the rod. And on the stick, I use 36-pound squid line. I also use cut bait (sucker) on the hook with a 1.5 oz sinker or lead head jig with a piece of sucker on the hook fishing in 35'-50' of water on the bottom. In Late February or March ice fish in shallower water near or on sandbars where Lake Trout come in to clean themselves of parasites. • Lake Winnipesaukee Fishing Catch & Release? In years past, we used to eat all the fish we caught. Now I fish for pleasure so I release all the fish I catch. • What happened to the Lake Winni shad? 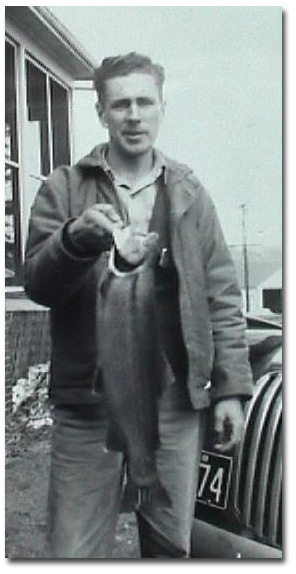 Over stocking of salmon in the 1950's diminished the smelt population. Then the salmon and trout foraged on the shad. Prior to 1946, trolling with powerboats ended on June 30th. 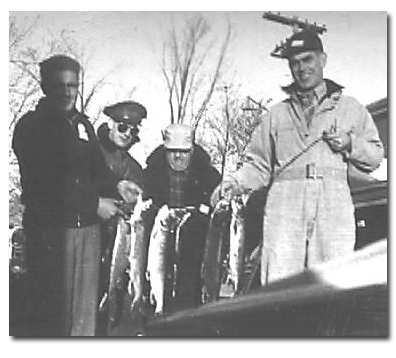 But in 1946, a 15-day extension was given with a limit of 4 fish (lake trout or salmon) per boat. During that 15-day extension, from July 1st through July 15th was my most successful angling time, ever. My father in his 28' Johnson Laker and I in a 22' boat each took out two parties of fishermen per day landing a total of 147 lake trout in 15 days, with an average weight of 7.5 pounds! All were caught with sewed on fall fish (roaches) or small suckers using True Temper steel rods with Malin copper lines at a depth of about 20'!